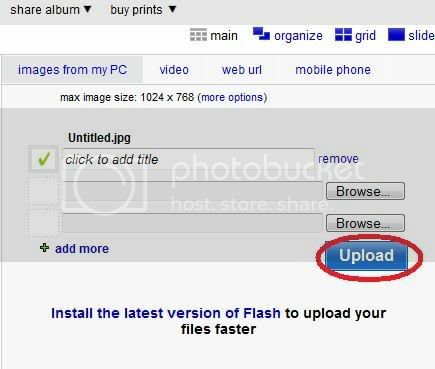 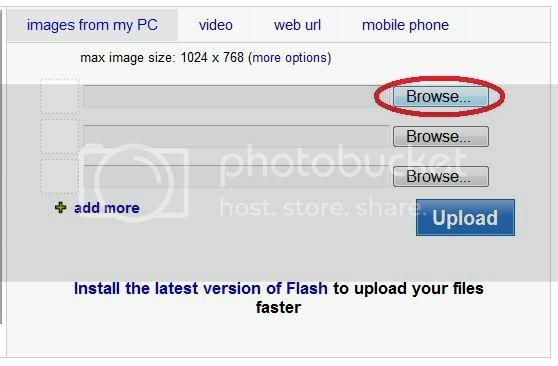 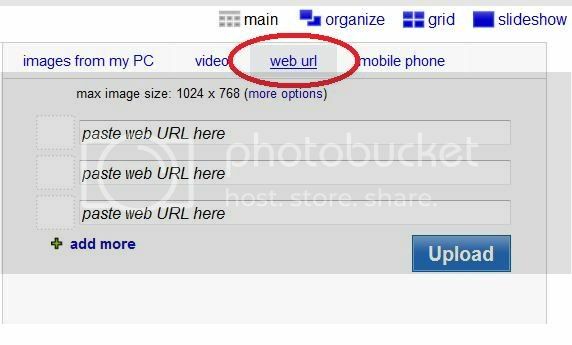 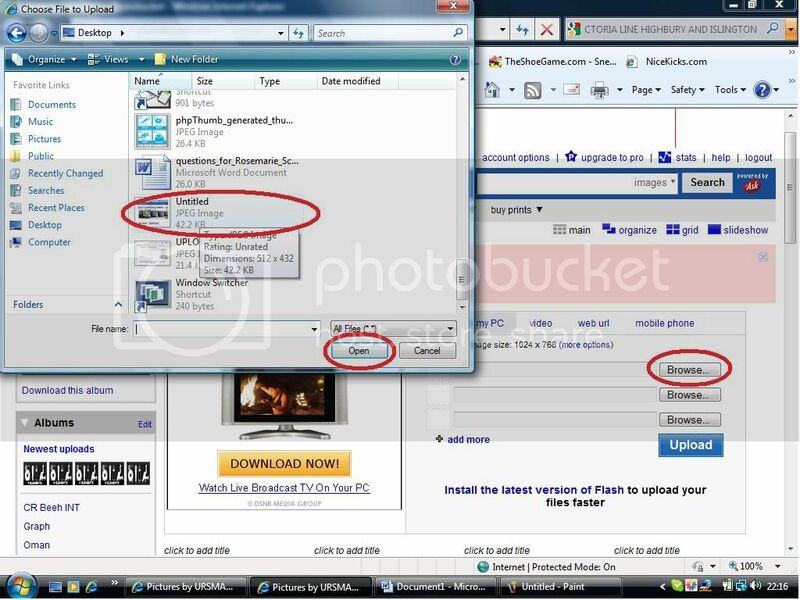 WHEN UPLOADING AN IMAGE YOU WILL NEED TO USE A IMAGE HOSTING PROVIDER, SOME IMAGE HOSTING PROVIDERS ARE NOT AVALABLE IN THE UAE SO WE HAVE USED OURS AS AN EXAMPLE. 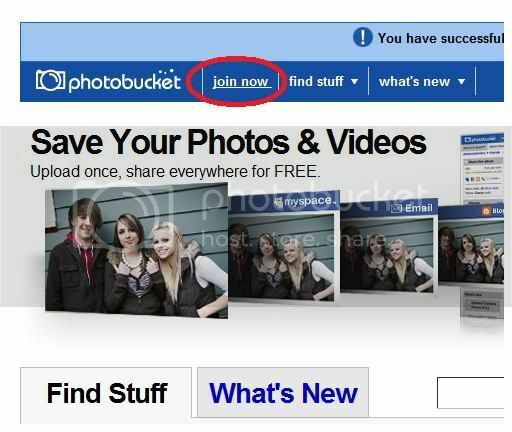 FEEL FREE TO USE ANY EXISTING ACCOUNTS YOU ALREADY HAVE. 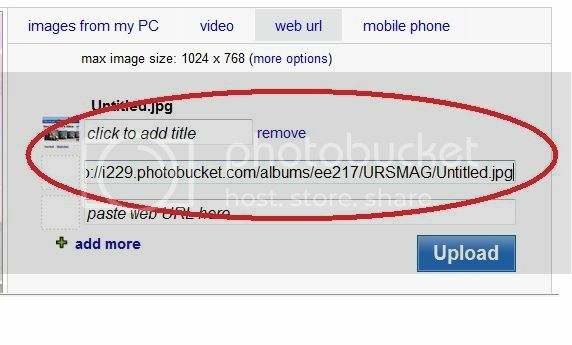 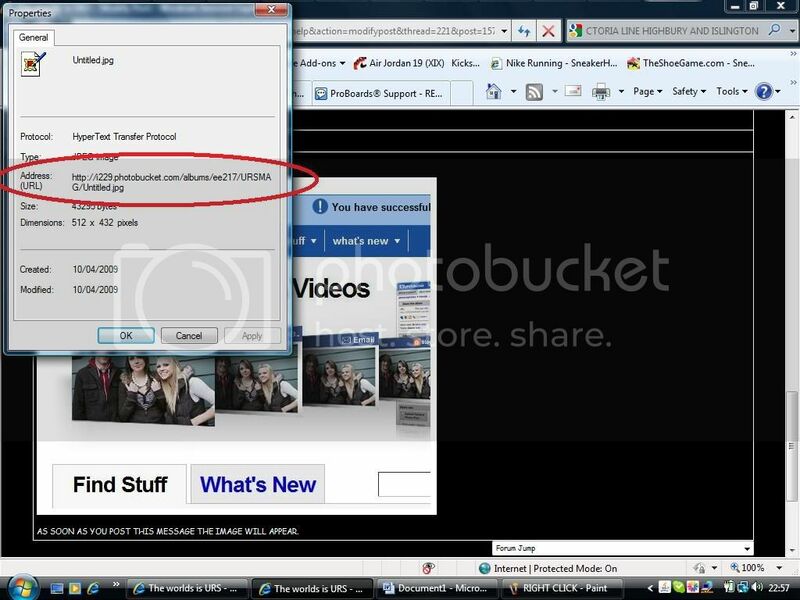 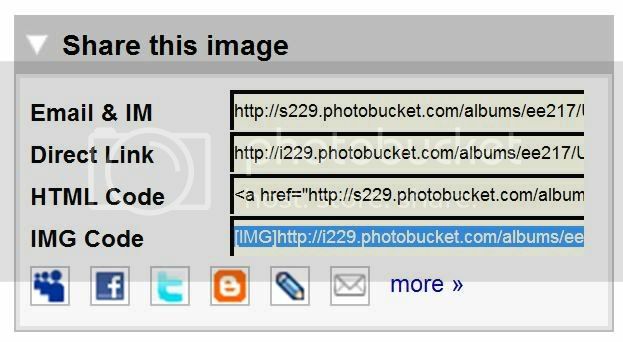 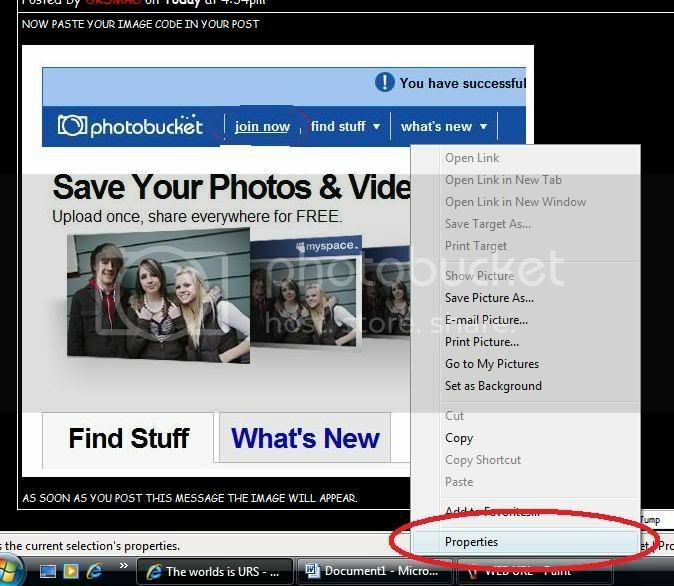 WHEN YOU HAVE SUCCESSFULLY UPLOADED YOUR IMAGE ONTO PHOTO BUCKET, YOU MUST THEN FIND THE IMAGE CODE. 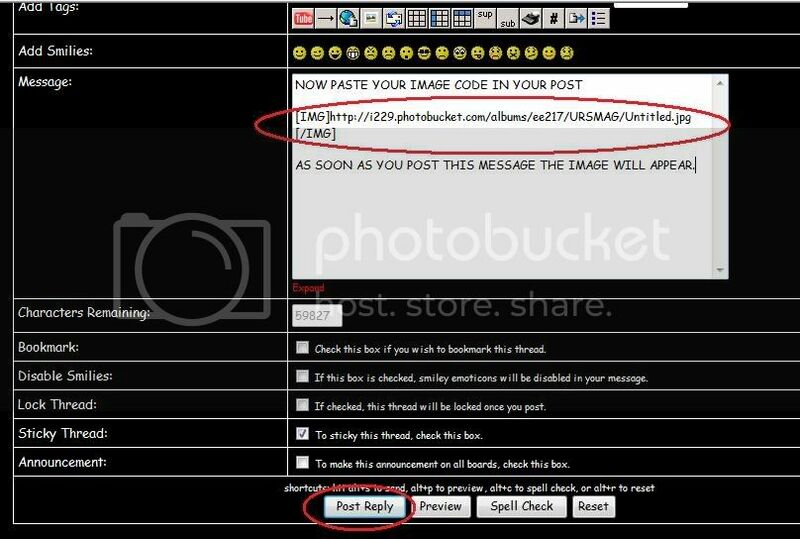 AS SOON AS YOU POST THIS MESSAGE THE IMAGE WILL APPEAR.